Read an article on InQuinte.ca that captures the history of CLBA and its driving force for inclusive community. Read an article written about Community Living Belleville and Area on InQuinte.ca celebrating another four-year accreditation. Read an article written about the CLBA 35th Annual Mayors' Challenge on InQuinte.ca. 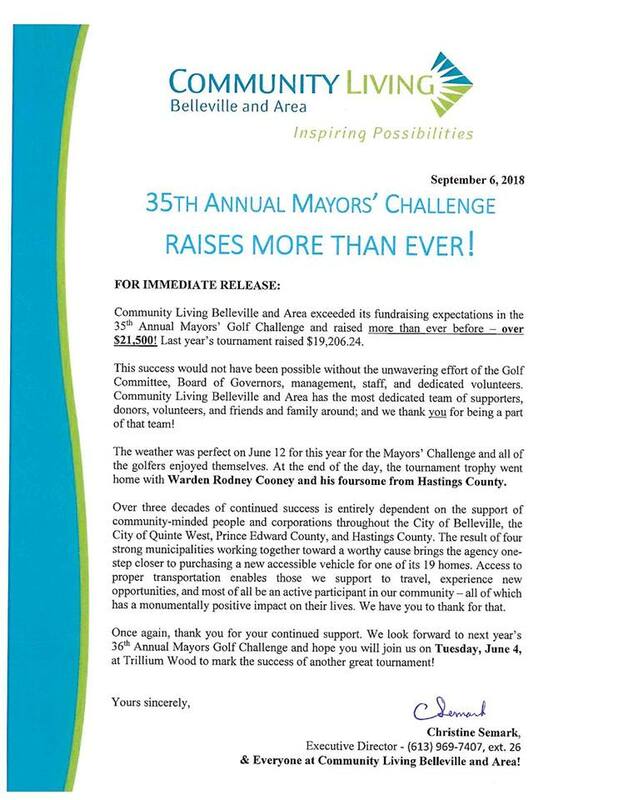 Read an article written about the CLBA 35th Annual Mayors' Challenge on Quinte News. Read an article in The Intelligencer about the CLBA 35th Annual Mayors' Challenge. Read an article celebrating CLBA receiving a three-year Ontario Trillium Fund grant to fund a Transitioning to Competitive Employment opportunity.